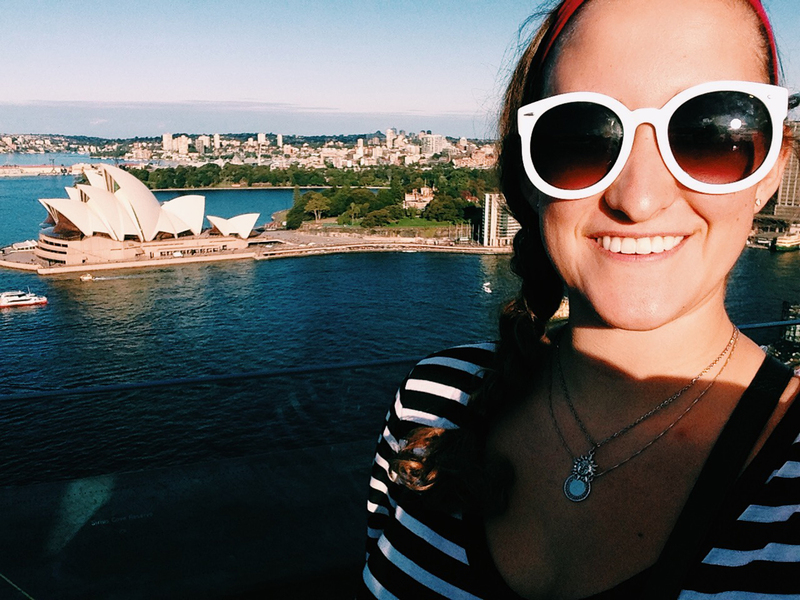 Whether it’s getting lost while exploring a charming European coastal city when you study abroad in Nantes or dancing for hours at one of the largest music festivals in the world when you intern in Chicago for the summer, studying abroad provides an endless list of adventures for any warm weather seeker. 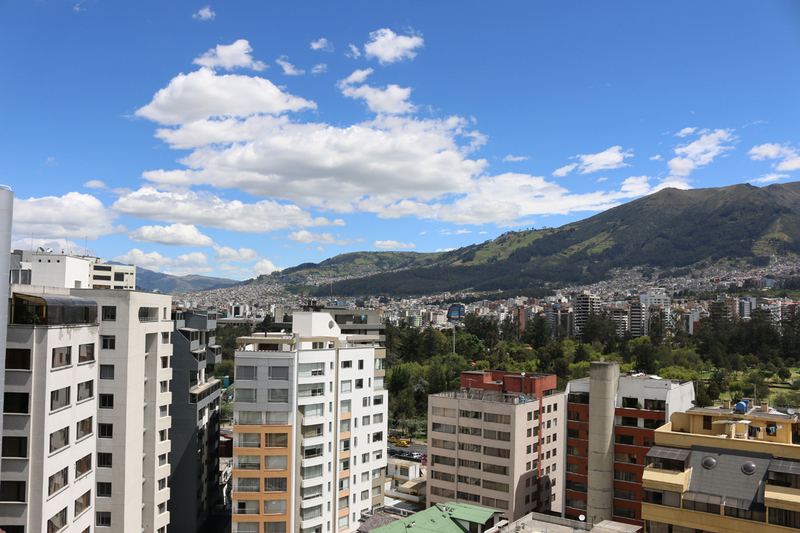 We’ve compiled a list of the best locations to study abroad for all those craving extra sunshine and vitamin D.
Sitting high in the Andes mountain range and directly on the equator, this Latin American capital city has a consistently warm climate all year long. Studying abroad in Quito will allow you to take full advantage of the city’s inviting weather through countless outdoor activities. Climbing to the highest peaks of Volcano Pichincha, hiking with friends into the world-famous Andes mountains, standing at the equator at Mitdad del Mundo, exploring the city’s Old Town (a UNESCO World Heritage Site filled with Spanish Colonial Architecture)—your time studying abroad in Ecuador will be full of adventure in the sun. Don’t forget your sunscreen! Join IES Abroad Quito for the perfect warm weather field trips outside of the city as well, including a course-related trip to Mindo, a mountainous watershed in the Andino Forest perfect for experiencing Ecuador’s biodiversity. 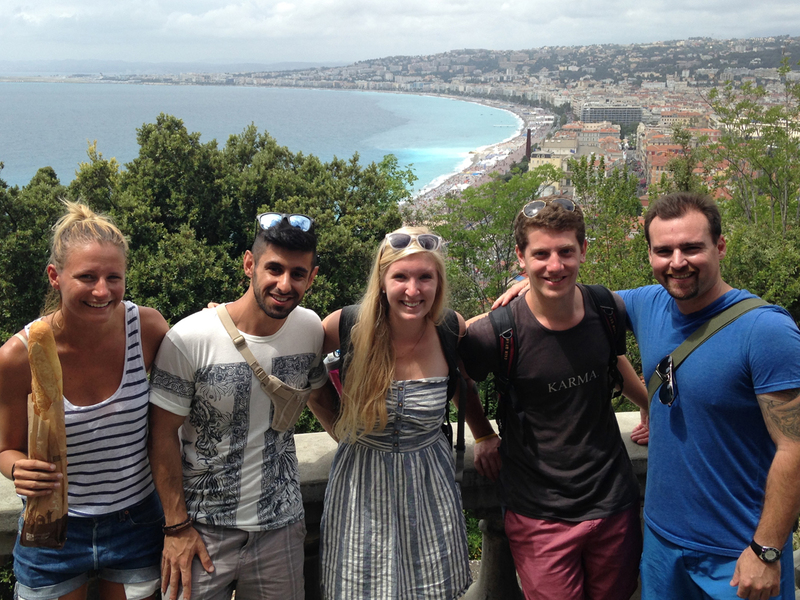 When you study abroad in France, why not stay in one of its sunniest cities: Nice! This chic, European city sits along the world-famous French Riviera with beautiful beaches that stretch on for miles. When you study abroad in Nice, the opportunities to soak up the sun are endless. Maybe you’ll climb a castle by hiking up Castle Hill—the perfect location for unforgettable views of the beautiful, blue Mediterranean Sea—or maybe you’ll rent a Velo Bleu (Blue Bike) and get lost in between the romantic European streets. From shopping at one of its open air markets to strolling through its breathtaking Vieille Ville (Old Town), Nice has plenty to offer any sunshine seeker out there. Maximize your time outdoors on our Nice Summer – Multiculturalism & Immigration in the Mediterranean Program, which includes a two-week field trip to Marseille & Rabat (the sunniest city in France, and another city that made this list!). These 3.5-million-year-old islands have captivated scientists and travelers for generations. From their incredible biodiversity to their incomparable beauty, there is no place on earth quite like the Galápagos Islands. Home to rare species, such as giant tortoises to marine iguanas, what you’ll see when you study abroad in the Galápagos Islands, is just as exciting as what you’ll do and learn. There are plenty of warm weather activities to enjoy, including snorkeling with sea lions at La Loberia Beach or spending the day in the sun hanging with penguins at Las Tintoreras. Join IES Abroad on an island hopping field trip to tour the islands of Santa Cruz, Bartolome, and Isabella, where you will learn about the terrestrial and marine ecology and the human history of each settlement. Studying abroad on the historic Galápagos Islands will provide you an educational experience that’ll change the way you view the environment and your role in it. When you study abroad in Rabat, you’ll experience the city’s unique blend of North African, Arabic, and European cultural influences, with nearly 900 years of history. The palm tree-lined city meets the Atlantic Ocean and is filled with plenty of unforgettable views to marvel at while enjoying some sunshine. While still an urban area, the city boasts miles of beach space to enjoy a dip in the pleasant Atlantic Ocean. 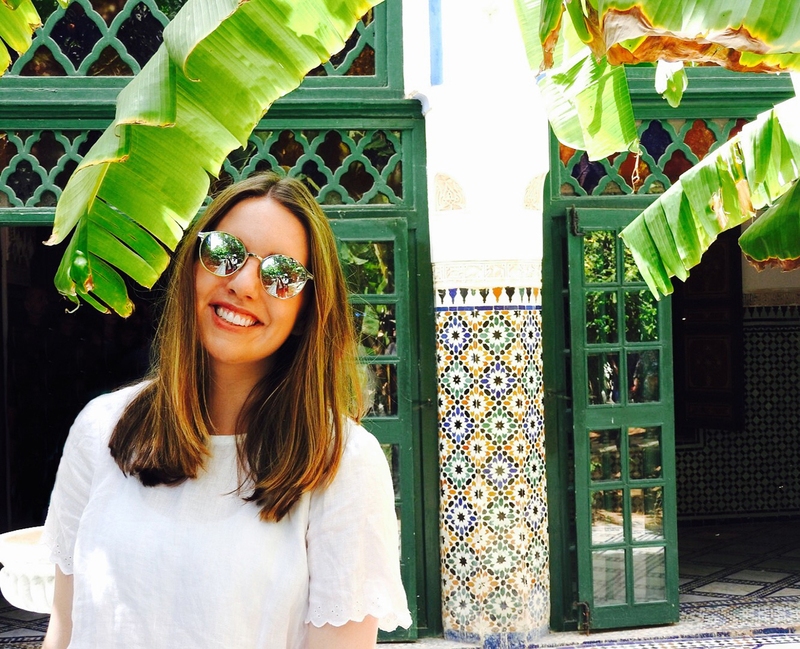 Take advantage of IES Abroad field trips to nearby sunny Spain to visit Granada and Córdoba. When you study abroad in Morocco, you’ll also have the opportunity to journey on camel-back through the Sahara Desert to learn about Berber history, culture, and music complete with a night camping at a desert oasis. 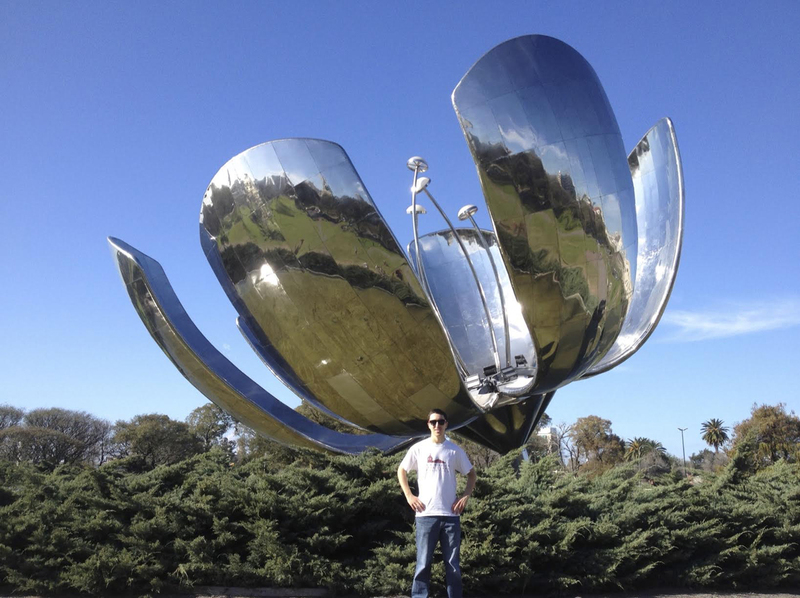 Get ready to explore the warm outdoors while studying abroad in Buenos Aires. This world capital has more than 250 parks and green spaces, perfect for enjoying its subtropical climate. Stroll through the iconic colorful streets of Palermo Soho while enjoying some of the world’s best ice cream or spend a day relaxing at the city’s tranquil Botanical Gardens. You may even catch an outside Tango show at Plaza Durango in San Telmo, the city’s oldest neighborhood. For an adventure to northern Argentina, join your IES Abroad classmates on a field trip to Salta and Jujuy where you can trek in the Andean foothills and the salt flats of Salinas Grandes. While there, enjoy the unique local cuisine and culture, including Argentine folklore music and dance. Much of Rome feels like an outdoor museum. 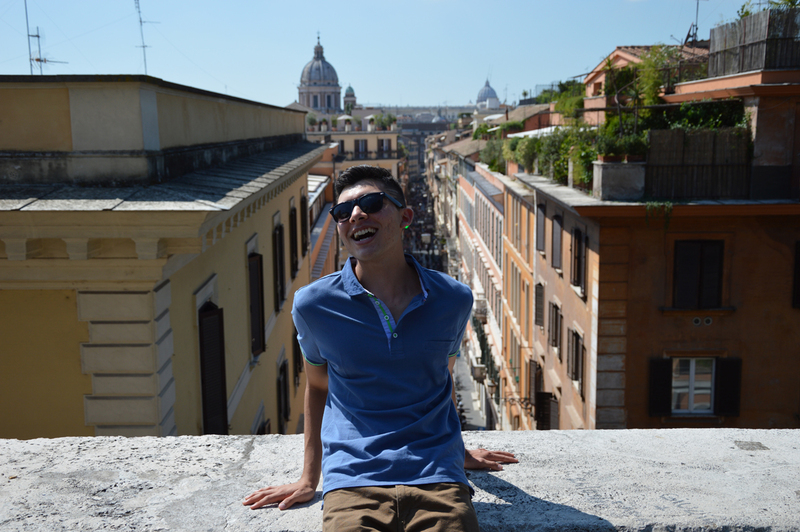 With more than 2,500 years of history to be explored and countless landmarks, the city has plenty to offer the warm weather wanderluster when you study abroad in Rome. Spend the day enjoying the historic city’s perfect climate by sitting on the Spanish Steps enjoying some of the world’s best gelato or wandering through the romantic streets of Trastevere, one of Rome’s most famous neighborhoods known for its preservation of culture and tradition. Escape the city life for a couple days and join IES Abroad for a field trip exploring the beautiful Amalfi Coast by boat. You’re probably wondering how a city with only 84 clear-sky days a year made it on this list. But the lack of sunshine throughout the rest of the year is exactly what makes Chicago’s summer so special. With 18 miles of lakefront on Lake Michigan and an endless list of outdoor food and music festivals, Chicago summers are packed with activities to help you take full advantage of the sun. Home to the original Lollapalooza, one of the world’s most famous and largest music festivals, and one the biggest LGBTQ+ Pride parades in the world, there is no summer like Chicago’s. 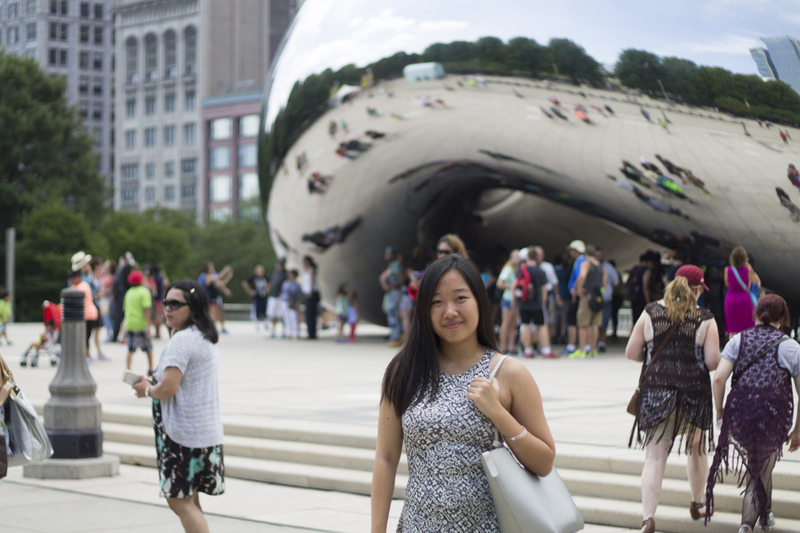 Interning in Chicago for the summer will provide you with an unforgettable experience making you not want to leave. 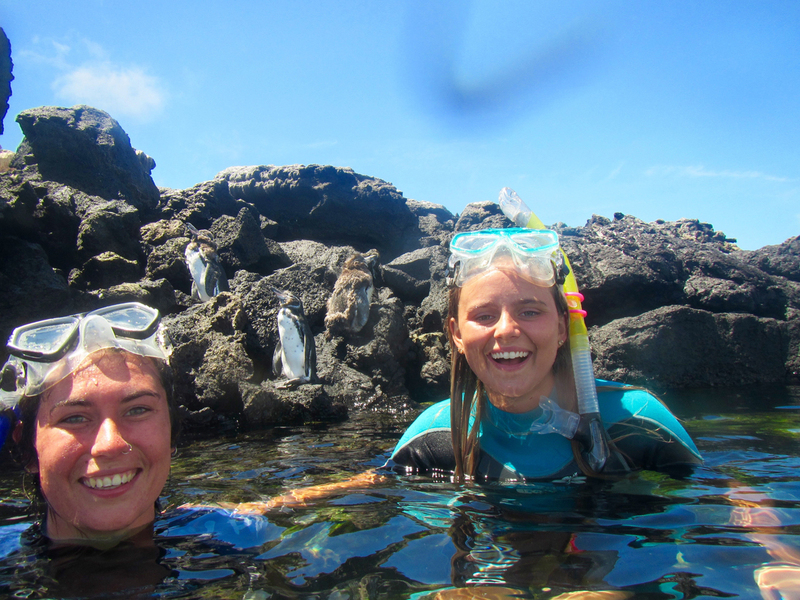 Studying abroad in New Zealand is perfect for the warm weather seeker who also wants to cool off in the water. Water is never far away in this multicultural, urban capital. The city has a seemingly endless coastline and more than 2,000 hours of sunshine per year. Visit the black sand beaches along the country’s west coast or trek up the famous Rangitoto Volcano, which has been dormant for 800+ years. Paradise also isn’t far away from Auckland. 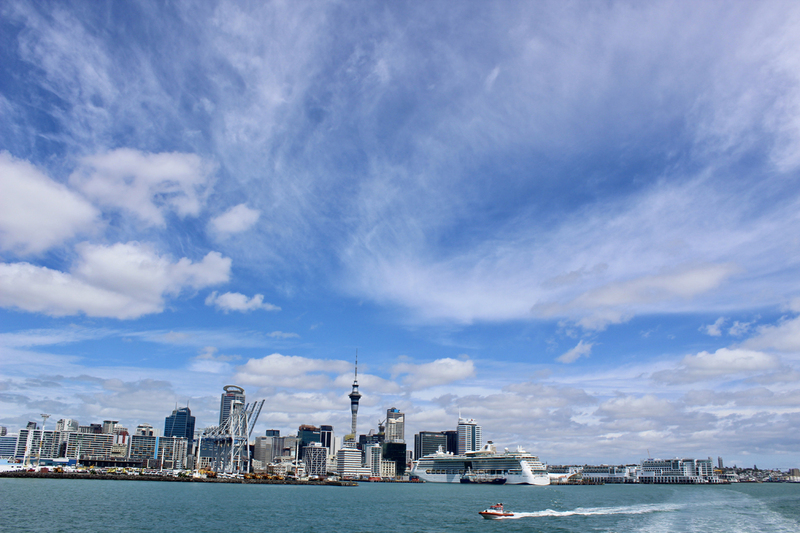 Start off your term with IES Abroad orientation on beautiful Waiheke Island. Later in the semester, join IES Abroad for a field trip to Rarotonga, Cook Islands, famous for its white sand beaches, where you’ll learn how to paddle an outrigger canoe and witness first-hand the island nation’s political and education systems. There are few places in the world like Cape Town. A city where the mountains meet the ocean, Cape Town is a sun lover’s dream. Spend the day relaxing at one of the many beautiful white sand beaches, hike Table Mountain for breathtaking views, or hangout with penguins at the Boulders Penguin Colony. 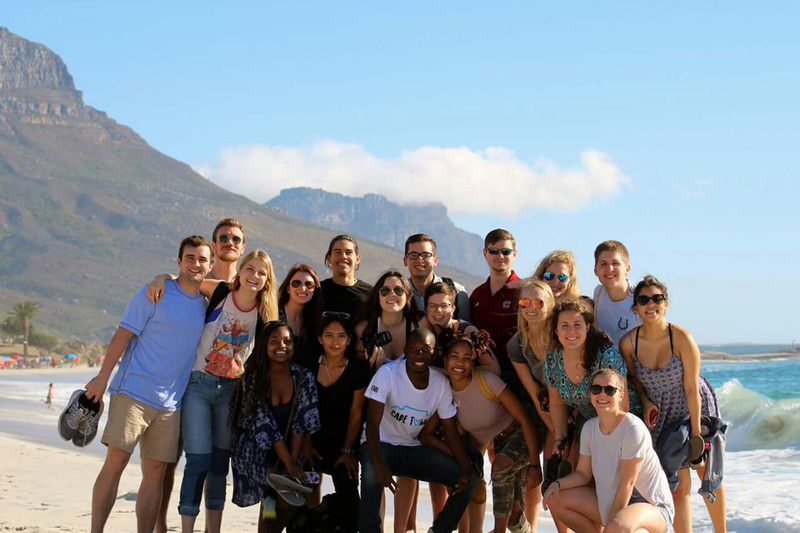 With miles of coastline along the Atlantic, specular beaches, mountains, perfect weather, and modern city life, studying abroad in Cape Town really has it all. Start your term studying abroad in South Africa with a three-day orientation along the south-eastern coastline, better known as the Garden Route. Catch some rays as you experience the beauty and diversity of the South African landscape while hiking and canoeing. With a climate that feels like summer nearly all year long and 70 beautiful beaches surrounding the city, there are endless ways to take full advantage of this warm weather paradise. While studying abroad in Sydney, you can stroll along the world-famous Bondi Beach or take a dive into the gorgeous Bondi iceberg pool. Prefer grass over sand? Don’t worry. Sydney has more than 400 parks and open spaces, which are perfect for outdoor sports, running, or just a relaxing picnic with friends. Take a day to explore the Royal National Park with IES Abroad, the second-oldest national park in the world. While spending time in the sun may be high on your priority list, we know there’s a lot to consider when choosing where to study abroad. Discover the best places to study abroad for you based on your hobbies, interests, and more.